A precious metal is a rare, naturally occurring metallic chemical element of high economic value. Chemically, the precious metals tend to be less reactive than most elements. They are usually ductile and have a high lustre. Historically, precious metals were important as currency but are now regarded mainly as investment and industrial commodities. Precious metals all have high densities (specific gravities ranging from silver at 10.5 to iridium at 22.6), relatively good corrosion resistance, good electrical conductivity, and relatively high value. Despite the latter factor, they are often economically acceptable because of their properties and performance in service. Scrap values are high and recycling is common. Precious metals have a higher melting point than normal metals, which means that they require large amounts of heat and electricity to be melted and then reshaped. Gold, Silver and Platinum have a very shiny appearance (lustre), which is why they are used for ornamental art and jewellery. Their ductile quality means they can be shaped into any form without being broken. 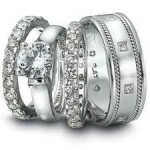 Fineness is used to designate the purity of gold and silver in parts per thousand by weight; hence, 995 fine gold is 99.5% gold, and 925 fine silver (sterling silver) is 92.5% silver. 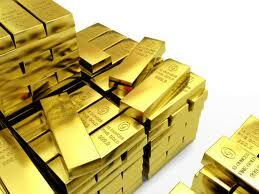 Jewellery is specified in karats, where 1 karat is 1/24th part of gold; hence, for example, 18 karat gold is 75% gold. Gold is yellow in colour and has a characteristic reflective shine. In its pure form it will not tarnish. Gold’s chemical symbol is Au. It has an atomic number of 79 and an atomic mass of 197.0. The purity of gold is measured in Karats. A Karat was originally a unit of mass (weight) based on the Carob seed or bean which was used by ancient merchants in the Middle East. Karat applies to gold (as a measure of fineness), and carat applies to precious stones (as a unit of weight, equaling 200 milligrams). 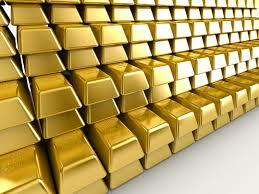 For gold it is used to measure the purity where pure gold is 24 karats. 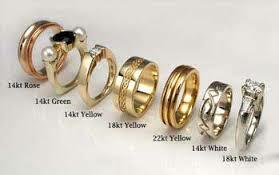 The following table shows the range from pure gold at 24 Karats to less pure at 9 Karats. Its chemical symbol is Ag, its atomic number is 47 and it has an atomic mass of 107.9. 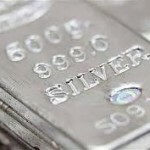 Silver was one of the first metals utilized by man. It has the highest thermal and electrical conductivity of all metals. The metal’s physical appearance is white, reflective, and very malleable. Common uses for this metal are coins, ornamental, jewellery, mirrors and electrically conductive paint. Silver-clad base metals (copper, brass, nickel, iron) are also used, in particular in the electrical and chemical industries. 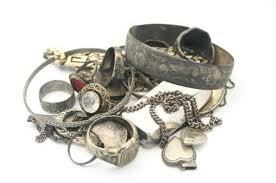 Unlike some other precious metals, silver will tarnish when exposed to contaminants such as ozone. Silver has been used by humans since prehistoric times, and the first evidence of a culture separating it from lead dates back to 3000 B.C. 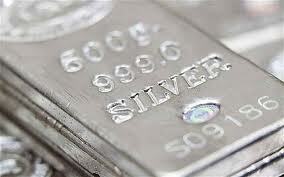 Important producers of the world’s silver supply include Nevada, Mexico, Peru, Chile and Canada. 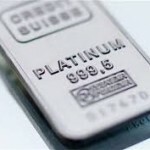 Platinum is known for being one of the rarest and also the heaviest of the precious metal elements. The chemical symbol for platinum is Pt. It has an atomic mass of 195.1 and its atomic number is 78. Its appearance is silver-white to gray. It is predominantly used as a catalyst for the control of automobile and industrial plant emissions. It is also used a catalyst for making acids, organic compounds and pharmaceuticals. This metal is also used in dental alloys, in capacitors, as conductive or resistive films for electronic circuits, as well as in jewellery. 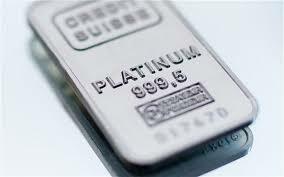 The majority of the world’s platinum reserves exist in either South Africa or Russia. A metal is deemed to be precious if it is rare. The discovery of new sources of ore or improvements in mining or refining processes may cause the value of a precious metal to diminish. 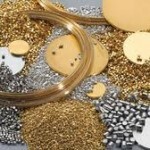 The status of a “precious” metal can also be determined by its high demand. 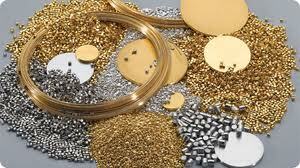 Precious metals in bulk form are known as bullion and are traded on commodity markets. Bullion metals may be cast into ingots or minted into coins. 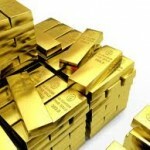 The defining attribute of bullion is that it is valued by its mass and purity.